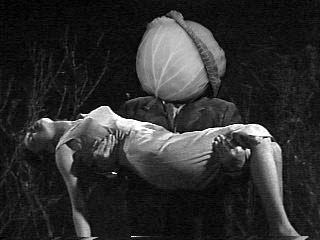 SCOTWISE: BRINGS A WHOLE NEW MEANING TO CABBAGE HEADS! BRINGS A WHOLE NEW MEANING TO CABBAGE HEADS! SOUTH Korean baseball authorities have banned players from using frozen cabbage leaves under their caps to cool down in the summer heat. The Korean Baseball Association (KBO) said cabbage leaves could not be considered part of the normal baseball uniform. "The KBO rules and regulations committee on Tuesday reached a decision that cabbage leaves should be considered as odd materials," a KBO spokesman told AFP. The committee took up the matter after the cap of pitcher Park Myung-Hwan of the Doosan Bears fell to the ground during game against Hanhwa Eagles on Sunday, revealing a frozen cabbage leaf. Park said he began using cabbage leaves last year after hearing from a local TV station that US baseball legend Babe Ruth had used them to cool off. "Park might have risked being ordered out of the ground if the other team, Hanhwa Eagles, had made an issue of the cabbage leaf," a KBO official said. KBO governs South Korea's eight professional baseball teams. Muummhh! I know a few Pastors who play Baseball!